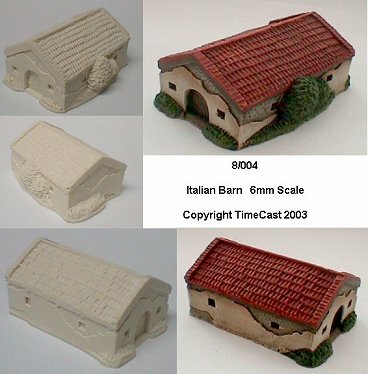 This range covers buildings from Southern Europe, including Italy, the Spanish peninsular, the French Mediterranean coast, Greece, Turkey and the Mediterranean islands. Large Italian Farmhouse (c1800). Built near the village of Orvieto in Tuscany, this stone farmhouse has recently been renovated as a holiday villa. Italian Farmhouse (19th century). A traditional stone built farmhouse from the village of Vagliagli in Tuscany. Italian Romanesque style chapel. 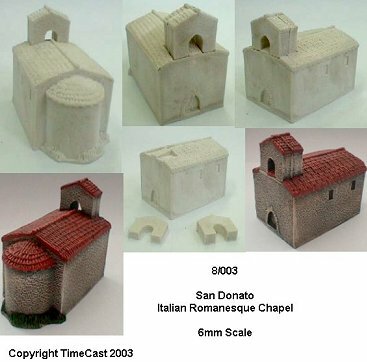 San Donato (11th/12th Century) sits on a hillside, overlooking vineyards and fields near the town of Trevi in northern Italy. 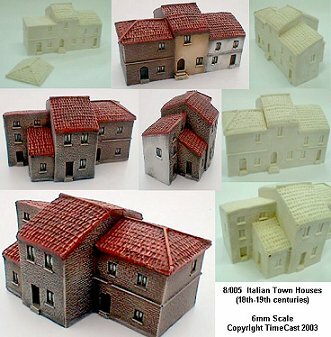 Italian Town houses (18th/19th Century). 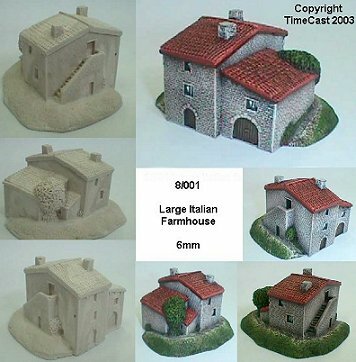 A row of three town houses, based on photos of the town of San Gimignano. 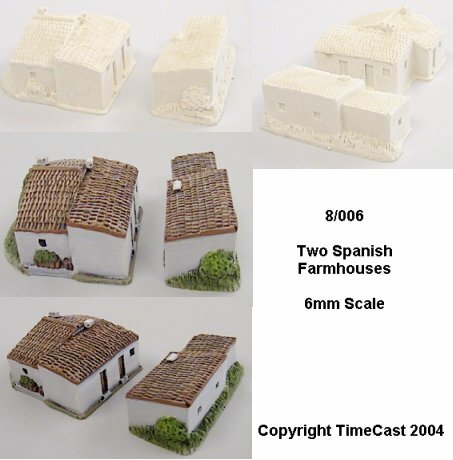 A set of two small Spanish farmhouses or fincas near Comares in southern Spain. A large Spanish farmhouse or finca from Benitachell in southern Spain. 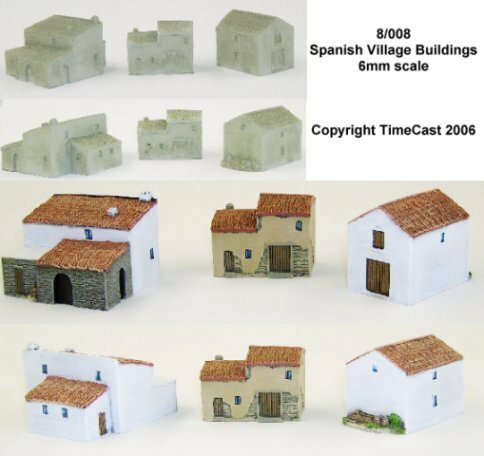 Spanish village buildings. Typical traditional Spanish buildings from Central/Northern Spain. 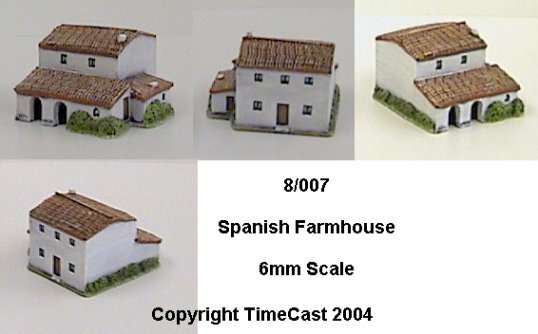 Set of three models - two houses and a barn. 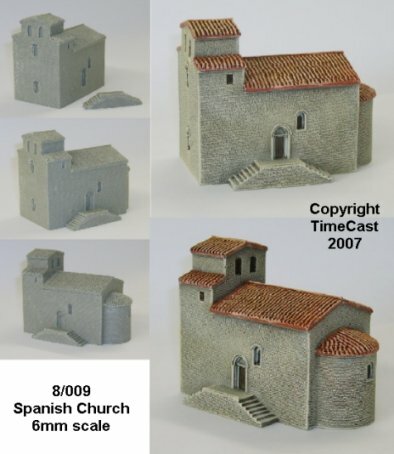 A large Spanish church, based on the 12th Century Romanesque style church of Sant Esteve de Pedret in northern Spain. Spanish Town Houses. 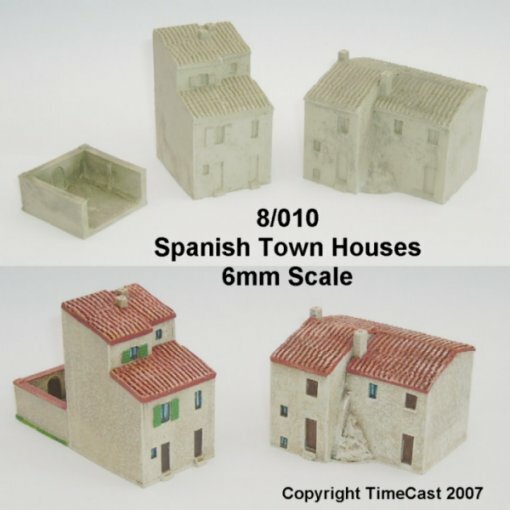 A set of two town houses, based on buildings in Andalucia in southern Spain. The larger house is built around a rock which projects from the front wall! 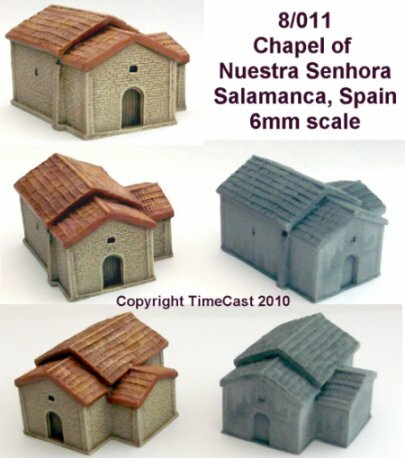 The Chapel of Nuestra Senhora (Chapel of Our Lady), based on photos from the battlefield of Salamanca in Spain. 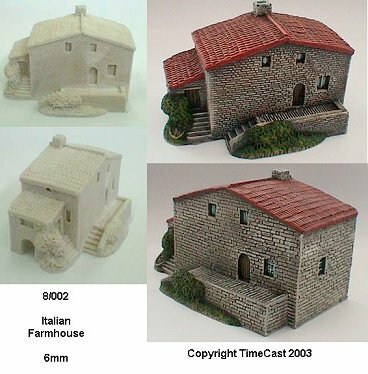 Italian buildings can be found in a wide range of colours, although plain stone buildings are frequent in northern Italy and along the Po valley. Coloured plasterwork or rendering would be more common in towns or on the homes of the wealthy. Utilitarian farm buildings would be more likely to be left in unfinished stone. The usual colours for buildings are simple earth tones, easily made from natural materials, while white painted buildings would be more frequent in the south. A row of town buildings may be painted in several different colours. Stone buildings are usually left in their natural colour. Window shutters are frequently painted green or dark brown. The practice of painting nearly every building white is a fairly recent occurence in Spain. Originally it was only the wealthy who could afford to paint their homes white. On a recent visit to Spain we learned that it was not even common in Andalucia until the 1960's. Prior to this the houses of the less wealthy would have been left in the natural colours of the rendered plaster etc. Many buildings in Northern Spain, along the Pyrenees and in Catalonia, are simply left in a natural stone finish, with no rendering or plaster. Many churches in northern Spain are plain stone. Coat d'armes paints can be ordered on line here...click on the link!